Seconds matter on race day. Take the lead and surge ahead of the pack in the shoe designed for speed. The ultra lightweight women’s 1400v4 is there for you on marathon day and all the work leading up to it. This racing flat for women looks and feels fast with a sock-like fit and streamlined upper for lightweight support. 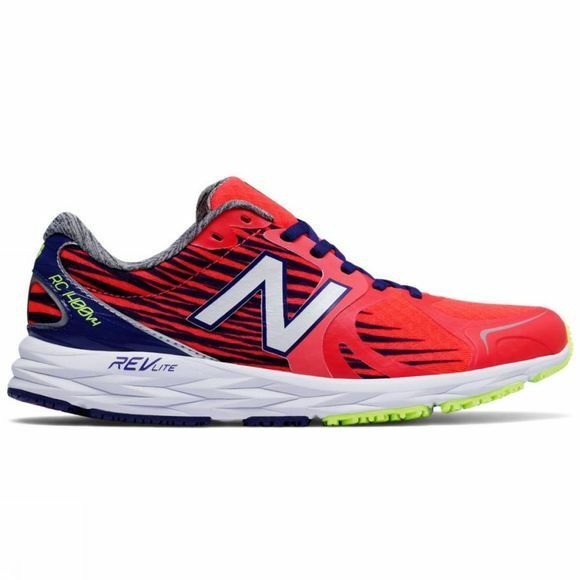 REVlight cushioning ensures you won’t have to sacrifice comfort whether you’re wearing the 1400v4 for speedwork or crossing the finish line with a new personal record.